I have always been into Radio Scanners ever since there was any means to pull in all those radio transmissions that may be interesting to monitor. This has meant modifying early mobile phones to receive cell calls through to buying dedicated commercial radio scanners that offered all the modes and methods needed to overhear anything on the airwaves. Not that I used the many interesting and private details to my advantage, but it was just more to see if I could do it. And mostly I could. But one thing that always fascinated me was to be able to effectively monitor or scan all the CB radio band on the lookout for overseas cb dx stations as they appeared. 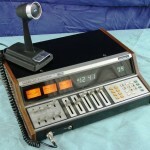 I tried many ways to do this over the years including buying CB Radios like the SBE Console VI Keypad Scanning CB Radio and the few Radio Scanners that offered SSB reception and computer interfacing such as the AOR 2500 that I still have built into a Tower P4 Computer with a Winradio ISA Card as well for good measure. The AR2500 scanning software was very advanced for its time although using very simple graphics looked like a Bandscope in real time and gave fairly good results especially on the old cell phone bands. But I always really wanted a Bandscope that would display the whole 1-2Mhz in realtime that is the CB Radio frequency spread from 26.500 – 27.700 or so covering the New Zealand CB radio allocation in mid 26MHz through to the top of 27MHz Freeband and Australian Marine Safety Band. The time has come when this is now possible for under $20 Australian dollars! Unbelievable! Just captured this as it is running in the background while I am typing this. I guess I could have my headphones plugged into one of my real radio scanners listening to FM Broadcast band, but this is just as good and does not tie up the scanner from scanning other frequencies. Not that the SDR# does not scan just like a real tandy radio scanner with the right plugins! The development by keen and talented people to produce free software for downloading is incredible! There is so much work going on in SDR it looks like I can set my Motorola MZ601 Android Tablet up with a new app to allow the dongle to be accessed in the same way as the pc computer. Who would have thought all those Laptop TV Dongles could have been hacked in software to achieve this? Well not all, but many that have the Realtek chipset anyway. Not only can you scan from aproximately 18MHz to 1700Mhz with the dedicated software but also receive and decode ADSB Aircraft information on 1090 MHz similar to ACARS on 131.550Mhz. If you are keen you can also down convert the receiver to the lower bands as well. Click Here for? ?Instructions to Setup your RTL2832U Dongle to?Track?Aircraft with ADS-B?in real time. 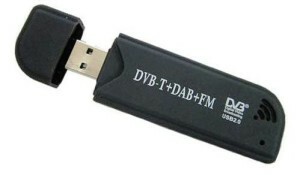 The DVB-T+DAB+FM USB key comes complete with an antenna and coax and Software to connect to the broadcast standard transmissions which is not used for our interest in a Bandscope scanner. The dedicated bandscope scanning software is under continuous development by interested hobbyists that have the technical knowledge to work with the underlying source code that controls the chipsets of the receiver IC’s. There are various chipsets that are able to be controlled and others that are not suitable so care in your choice of product is advisable. 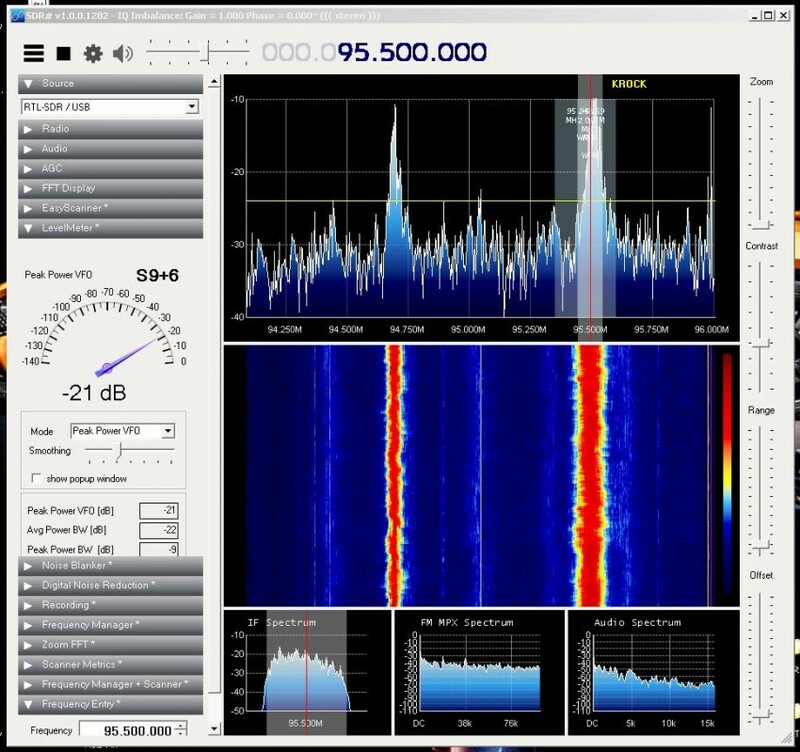 If you get?SDR#?up and running, you can?Click Here?to try the “Frequency Manager + Scanner” Plugin. Click Here to Download the latest?Zadig Drivers?for your RTL2832U for SDR use. LIVE TUNABLE 26MHz to 28MHz in Melbourne Australia. TUNE-ABLE over 10 metre & 11m CB Band by you moving the YELLOW Tune Cursor with your mouse to any frequency or clicking on the waterfall where you see activity. Also selecting the mode and other parameters in the control box all in real time can set volume, squelch, zoom, full band or closeup to tune accurately. Please play with it for a while trying stuff as below. This entry was posted in CB-Radio-Hobby, Radio-Scanners, SDR CB BANDSCOPE by 43AX05. Bookmark the permalink.